If you’re involved in the SEO world, you’ve likely heard of rich snippets and understand that they’re important for getting the greatest search visibility for your brand. But you may not understand why they’re important, or how to implement them correctly on your site. Like with many SEO tactics, rich snippets are deceptively simple; conceptually, they’re easy to understand, and initially they’re relatively easy to set up, but there’s also a degree of complexity in tapping into their full potential. Rather than nitpicking the technical details of rich snippets or presenting them in an alienating way, this article is written to introduce the concept of rich snippets, and how you can get started using them for your site. Rich snippets made their first appearance back in 2009, when Google introduced them as a new feature designed to help users find more immediate, specific information within search results. Under Google’s vision, both online companies and web users would benefit; online brands would get the chance to increase their visibility and the accuracy of information available for them in search engines, and users would have the chance to get more information before clicking through to the site. Rich snippets are clips of information that are paired with a search result – these “snippets” can take a variety of forms – for example, simple bits of extra text may be used, but you may also see reviews, tables, charts, or other specifically formatted information complementing certain search entries, depending on the type of result you’re seeking. Adding rich snippets to your website wherever relevant has a number of benefits for your website. This type of markup is technically optional; unlike certain website features like mobile optimization, you won’t see a ranking penalty if you don’t use it. 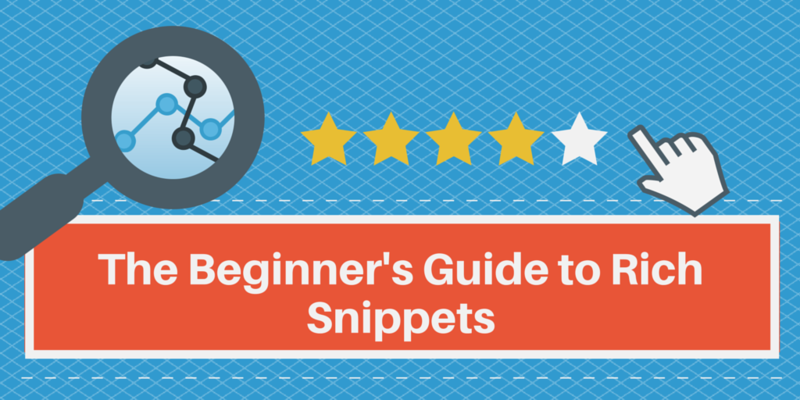 However, you will find that rich snippets add significant value to your search entries. First, the markup makes your entry stand out more in SERPs. When a user makes a search, their eyes gravitate toward SERP entries that contain the most valuable or most detailed information. Without this markup, you’re forfeiting the chance to attain that extra visibility. Second, you’ll get more (and more relevant) click-throughs. Because your entry will stand out, you’ll get more people coming to your site, but more importantly – because you offer accurate information before users click through, the types of users you get on your site will be more relevant for your brand. As a result, your higher CTRs and lower bounce rates will give you more opportunities to generate revenue, and might even increase your search rankings. In order to implement rich snippets on your website, you will need some understanding of HTML. Fortunately, the search community has made it relatively easy. Google, Bing, and pretty much any other search engine you can name all draw their rich snippet information based on how you format that information on your website, and all of them follow a consistent type of formatting – the formatting offered by Schema.org. Schema.org is an open community that offers multiple different microformatting types, based on the type of information you’re trying to mark up. For example, “Events,” “Organizations,” “People,” “Products,” and “Reviews” all have their own respective microformat, which Schema.org offers for free. You can copy these formats for use on your site, and simply plug in the proper information to ensure your data is being drawn by search engines accurately. Once you’ve implemented these rich snippets for whatever types of information you desire, you can test your efforts using Google Search Console. In your main dashboard, under the “Search Appearance” tab, you can click on “Structured Data” to see what types of rich snippets are currently being “seen” by Google. If your work appears here, you’re all set – your entries will be visible in SERPs. If you don’t see your information showing up, you might have made an error in your implementation. Both Google and Schema.org offer multiple resources to help you with the finer points of this technical process, so be sure to consult them as you make your corrections. Like everything online, rich snippets aren’t static. They’re constantly evolving, responding to and driving changes in how users experience the web. Schema.org occasionally pushes out small tweaks and fixes to its formatting, but more importantly, it’s always adding new types of information to its lineup. When rich snippets first emerged, they were reserved for basic, objective pieces of data, but as they become more widely implemented and appreciated, they’re being more easily applied to abstract, less precisely defined variables. Google’s Knowledge Graph offers up basic information in response to user queries – for example, if you search for a specific movie, you’ll likely see a small box to the right-hand side of the SERP will detailed information about the film’s production, including cast and release details. Google’s attempt here is to offer more immediate information to its users, bypassing the hunt-and-click style of searching that has come to define the average user’s web experience. To accomplish this feat, Google aggregates information from rich snippets around the web to ensure accuracy via a general consensus. As rich snippets grow in diversity and availability, the power and reach of the Knowledge Graph will grow – and there’s no telling what other types of applications Google has in mind for this superior way of organizing information on the web. Future predictions aside, rich snippets are incredibly valuable for your brand’s online visibility. If you aren’t already using them, it’s time to get started, and because they’re so easy to understand and implement, there’s no reason not to. Thanks for this introduction. However, note that schema.org does not offer “microformatting types”, nor do the types enumerated “have their own respective microformat”. 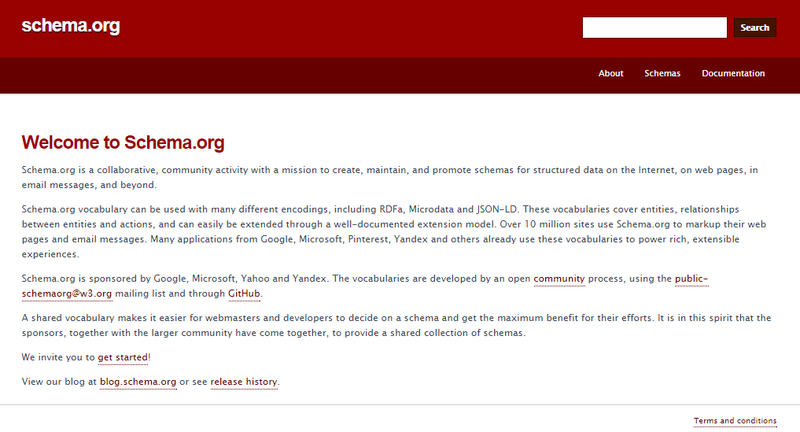 schema.org is a vocabulary which can be expressed using microdata, RDFa or JSON-LD. Microformats are a very specific type of earlier structured data which use class declarations for data encoding, and they have nothing to do with schema.org.